Providing you the best range of c5 a anti seize lubrication, nickel anti seize lubrication, zinc anti seize lubrication, silver grade lubricants, heavy duty anti seize lubrication and food grade anti seize paste with effective & timely delivery. Over the years of experience in the industry, we have been able to put forth the clients a wide range of C5 A Anti Seize Lubrication. The offered range is widely used to protect several metal parts from rusting, corrosion, galling and seizing at high temperatures. 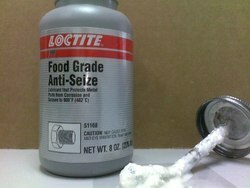 Developed as per the international quality standards, the range serves as an exclusive formula for suspending copper and graphite in high quality grease. Our products can also be availed in customized specifications as per the requirements of the customers. 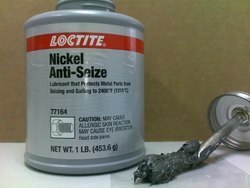 We hold immense expertise in providing the customers with an excellent range of Nickel Anti Seize Lubrication. Developed as per the international quality standards, the range is widely recommended for stainless steel and other metal fittings. The offered range is widely used to protect several metal parts from rusting, corrosion, galling and seizing at high temperatures. Also, our range is copper free. Our products can also be availed in customized specifications as per the requirements of the customers. We are a coveted organization engaged in providing the customers with an astonishing array of Zinc Anti Seize Lubrication. 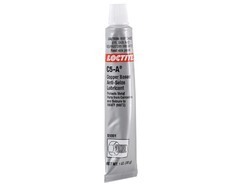 Ideally used to prevent corrosion in aluminum and iron metal components, the range acts as an internal galvanizer in the protection of substances. Also, the range prevents seizing during the assembly of metal joints. Developed as per the international quality standards, the range is widely recommended for stainless steel and other metal fittings. We are a coveted organization engaged in providing the customers with an astonishing array of Seize Lubrication. 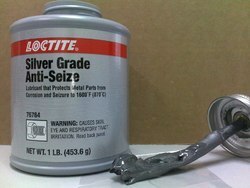 Ideally used to prevent corrosion in aluminum and iron metal components, the range acts as an internal galvanizer in the protection of substances. Also, the range prevents seizing during the assembly of metal joints. Developed as per the international quality standards, the range is widely recommended for stainless steel and other metal fittings. Over the years of experience in the industry, we have been able to put forth the clients an excellent assortment of Heavy Duty Anti Seize Lubrication. The offered range is extensively use in chemical plants, oil refineries, power plants, paper mills, steel mills and foundries, synthetic fiber plants, ships & aerospace manufacturing and service. Our range is highly compatible with stainless steel & other nickel alloys and contains no free metals. Looking for Anti Seize Lubrication ?